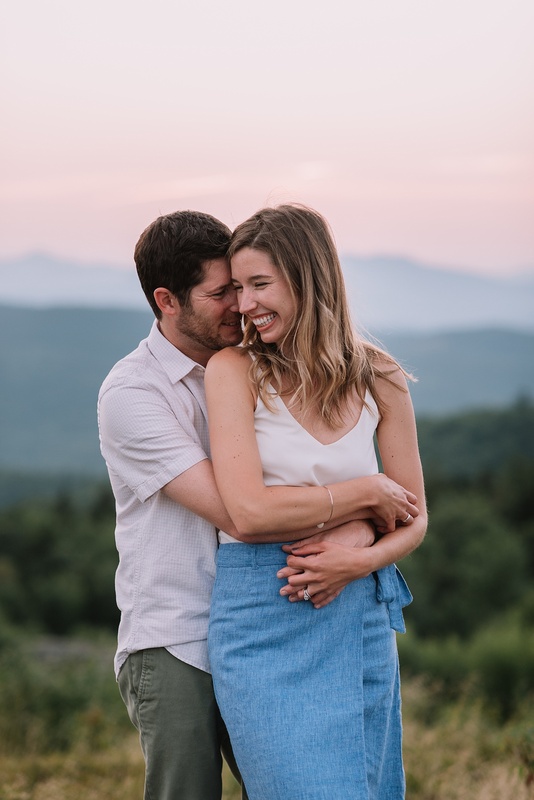 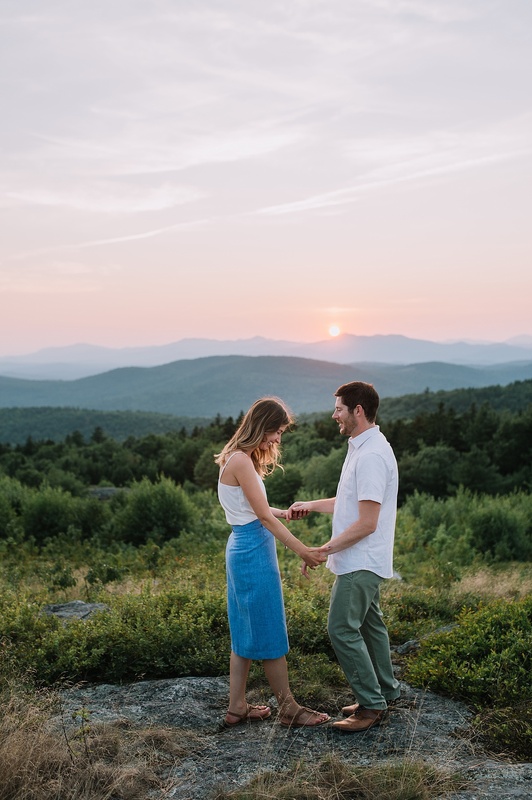 I first had the pleasure of meeting Cassie when we collaborated on a gorgeous styled shoot at The Preserve at Chocorua. 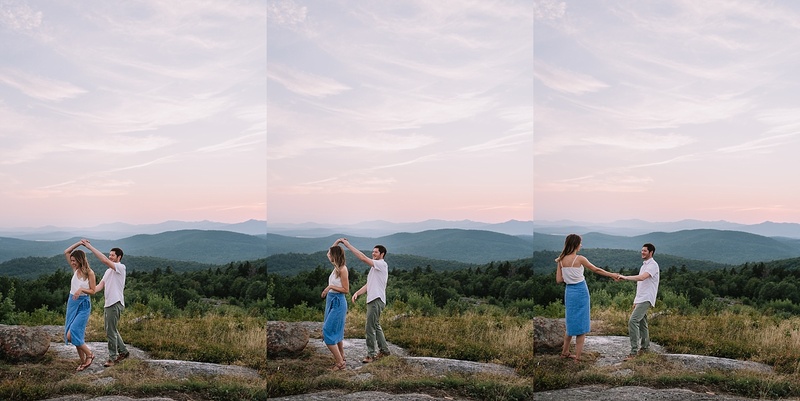 Cassie is a super talented wedding planner & designer. 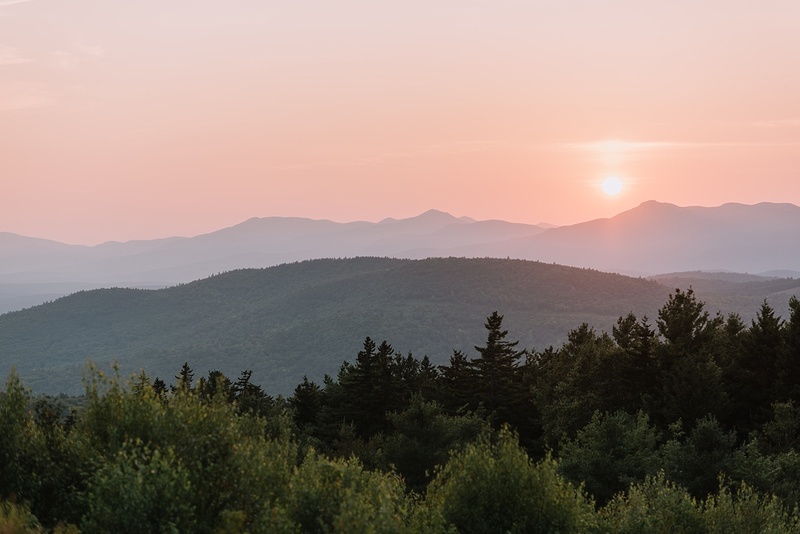 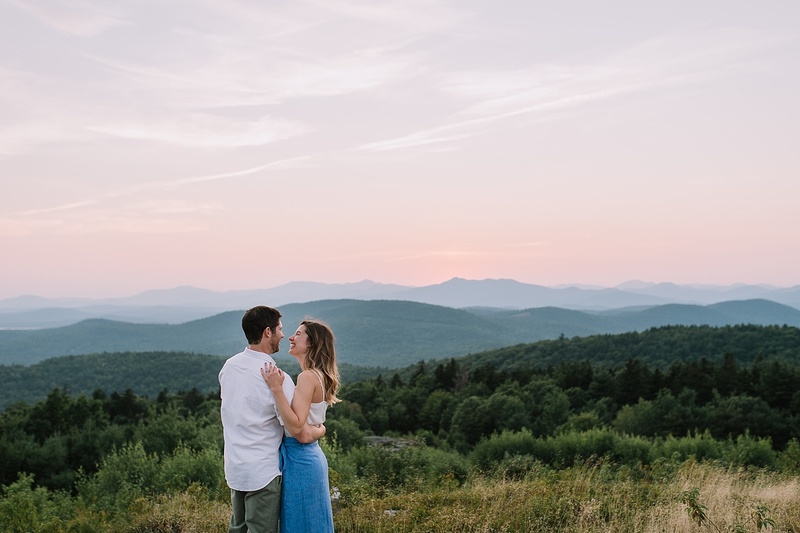 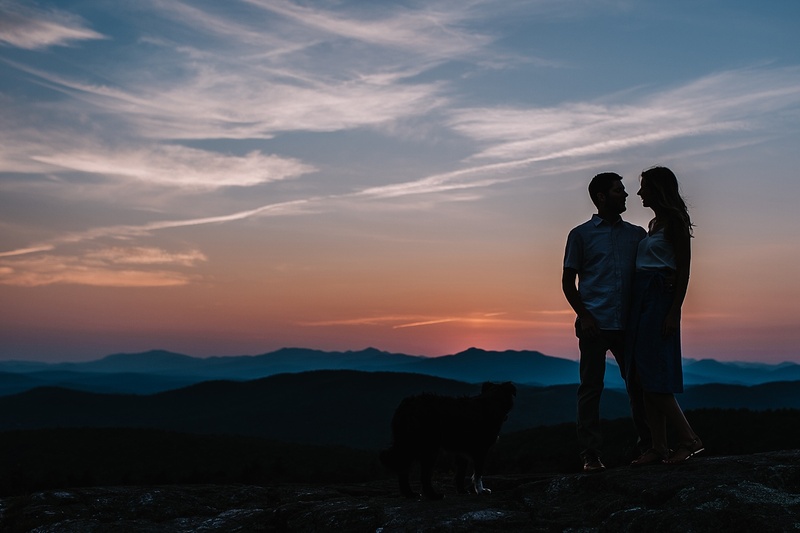 Be sure to go check out her gorgeous work here: Doting & Details Cassie & Dustin spent their weekend backpacking and exploring the mountains, so there was no better place for their session than mountain top at sunset. 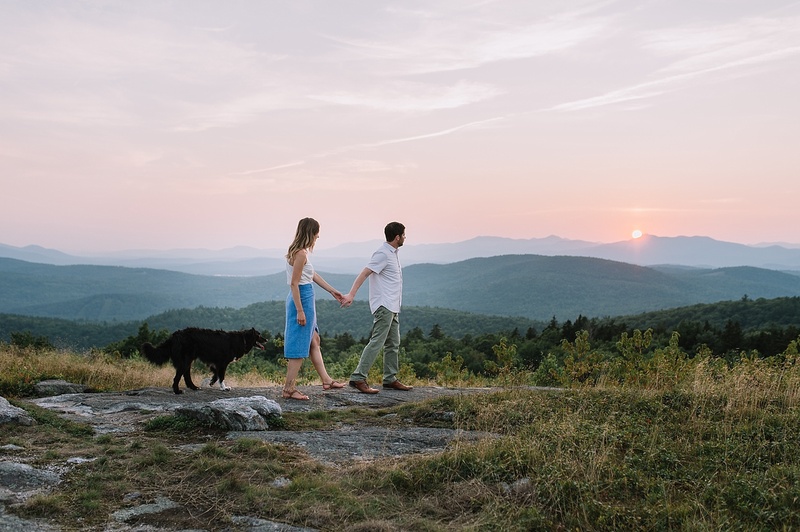 After getting lost on the back roads of New Hampshire, Cassie, Dustin, their adorable pup Porter, and I, booked it to the top of the mountain just in time to catch the last sliver of sunlight. 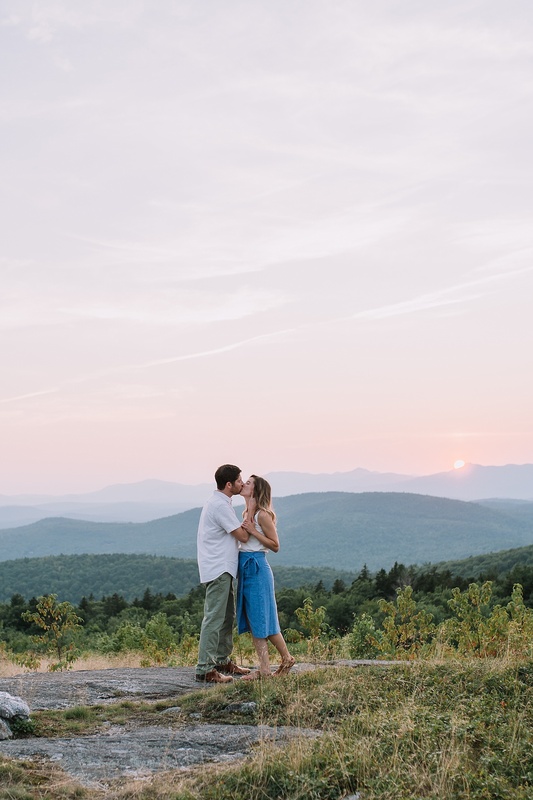 I am a firm believer that everything happens for a reason and if they hadn’t gotten lost we wouldn’t have been gifted this gorgeous soft sunset light.